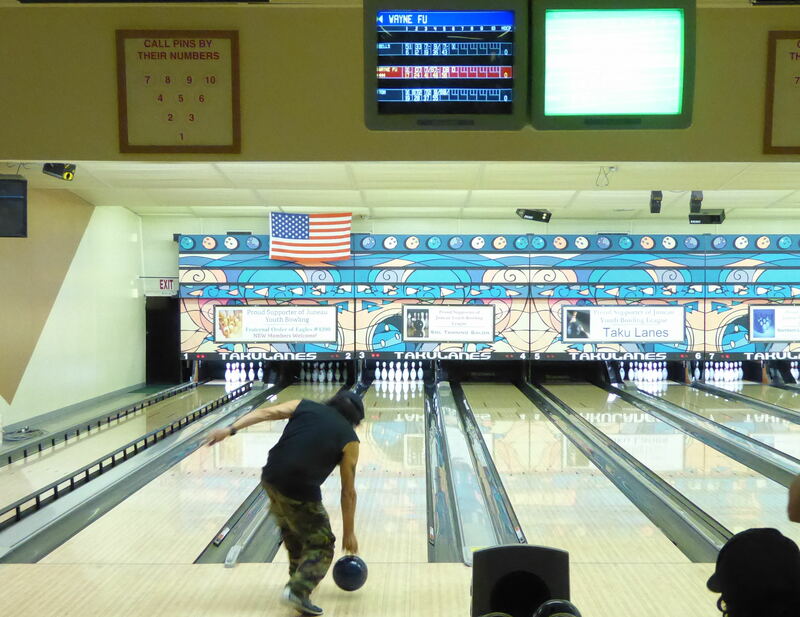 Two Saturdays ago, it was the Street versus the Beat at the Taku Lanes bowling alley. Both teams celebrate strikes and laugh at occasional gutter balls. But all but one of the seven people bowling against the police are homeless or in some kind of unstable housing. Wayne Fu Smallwood is ­67 and lives in a cabin in the woods. “I just got a wood stove and candles, but I’m happy,” Smallwood said. Homeless Juneau residents and local police competed on equal terms to draw donations to the Glory Hole homeless shelter. The same people who use the shelter’s services helped raise over $3,000 worth of donations. Smallwood said he doesn’t have bad interactions with the police. But, he said a lot of people living on the street try to avoid cops. Smallwood’s referring to a sore subject in Juneau. Often property owners call the police to stop homeless people from sleeping in downtown Juneau doorways. Smallwood thinks it’s good for the two teams to play each other. 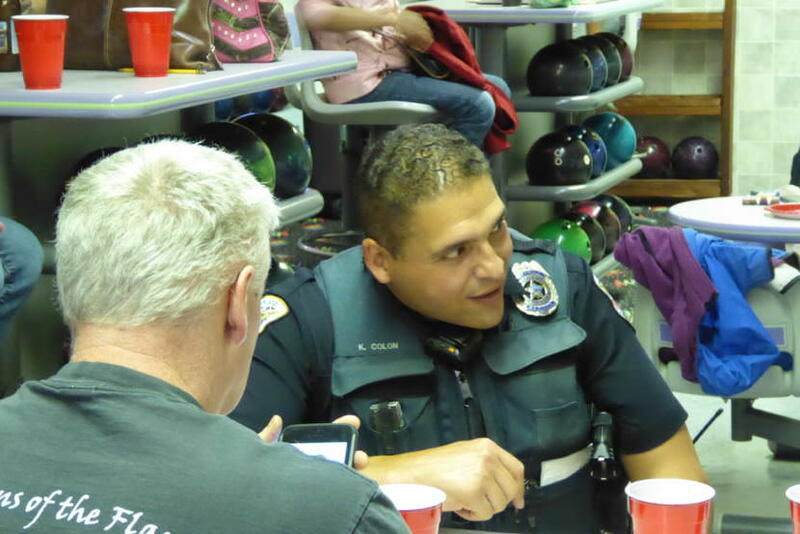 This night, Officer Ken Colon said everyone has the same goal. 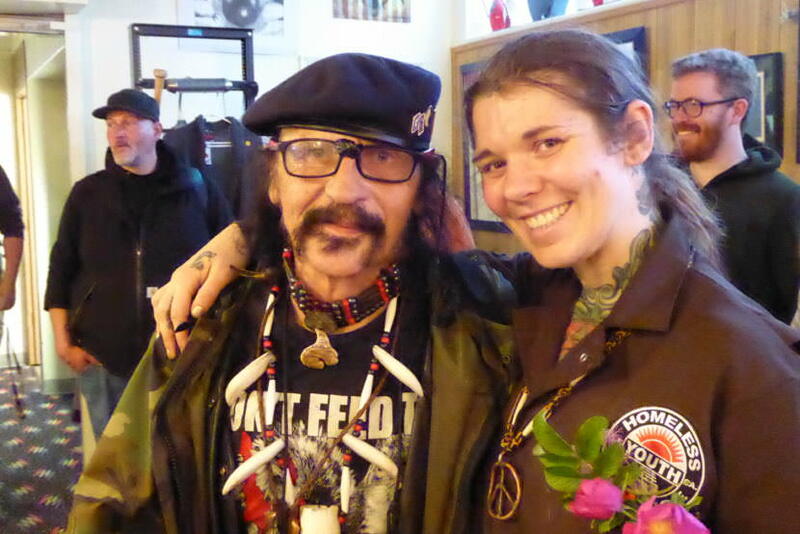 Colon walks the downtown beat and comes face to face with Juneau’s homeless every day. Rebecca Service organized the event. She said her goal is to bring Juneau’s homeless and police closer. “Instead of separating people into categories and just kind of meeting on the same lane,” Service said. Service moved to Juneau two months ago from San Francisco and right now, she sleeps in her van. She was going to do this same event before she left San Francisco. She was inspired when she saw several cops wearing gray bowling shirts. Eventually, more cops signed onto the idea, but finding the space to play was impossible in the big city. Now that Service lives in Juneau, that isn’t a problem. Officer Colon seconds that. He said his bowling game was “below marginal,” but you can’t tell from his face. “Smiling and playing is good therapy. That’s pretty much what I can come up with. It’s great therapy,” Colon said. Service said the event raised $3,325 from food sales, a silent auction and donations. All of the gifts will go to the Glory Hole shelter.